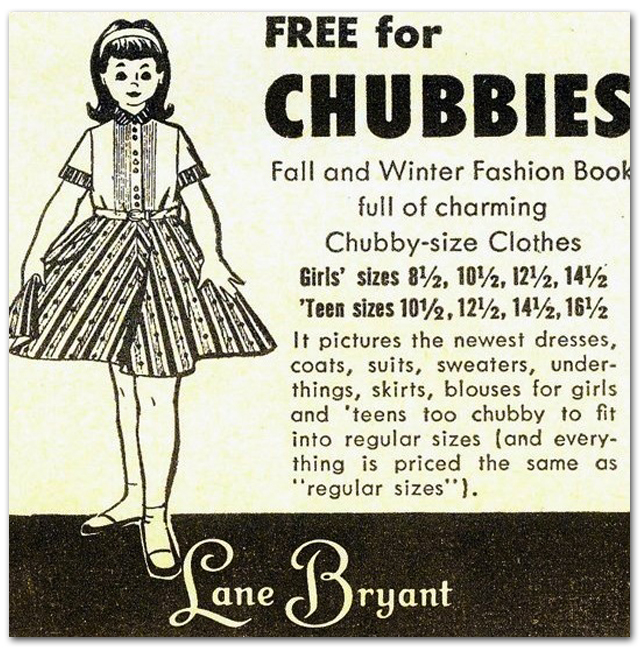 Fall and Winter Fashion Book full of charming Chubby-size clothes. It pictures the newest dresses, coats, suits, sweaters, underthings, skirts, blouses for girls and teens too chubby to fit into regular sizes (and everything is priced the same as “regular sizes”). 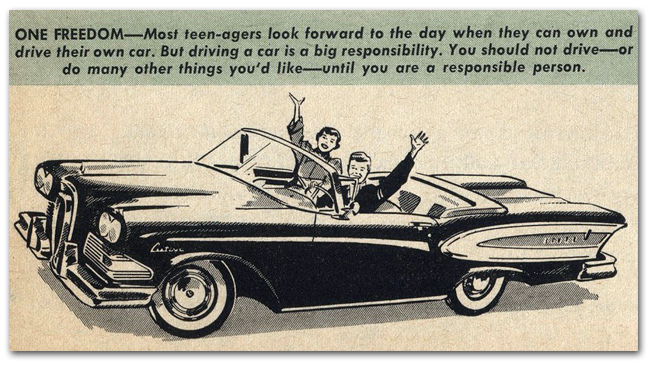 Most teenagers look forward to the day when they can own and drive their own car. But driving a car is a big responsibility. You should not drive – or do many other things you’d like – until you are a responsible person. 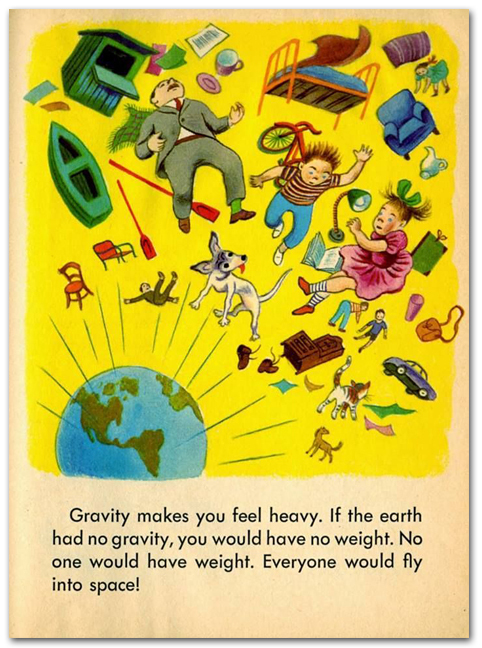 If the earth had no gravity, you would have no weight. No one would have weight. Everyone would fly into space! Recipes, decor, entertainment … this book lists these and everything else necessary to start and maintain one of these profitable and popular establishments. 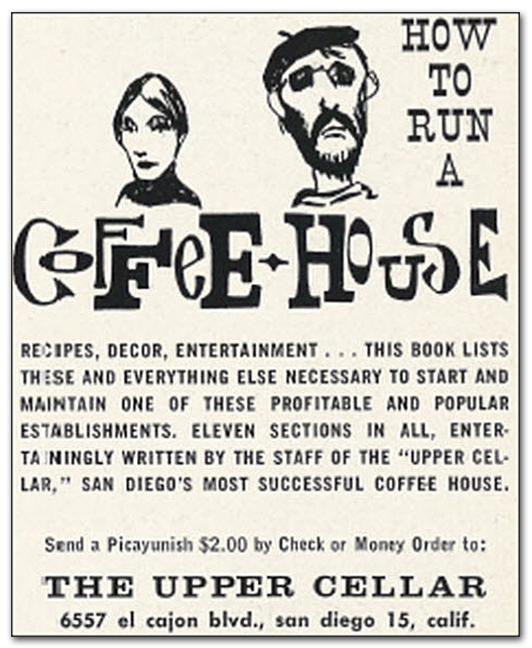 Eleven sections in all, entertainingly written by the staff of the “Upper Cellar,” San Diego’s most successful coffee house. From Samson’s of Fifth Avenue … be a winner! 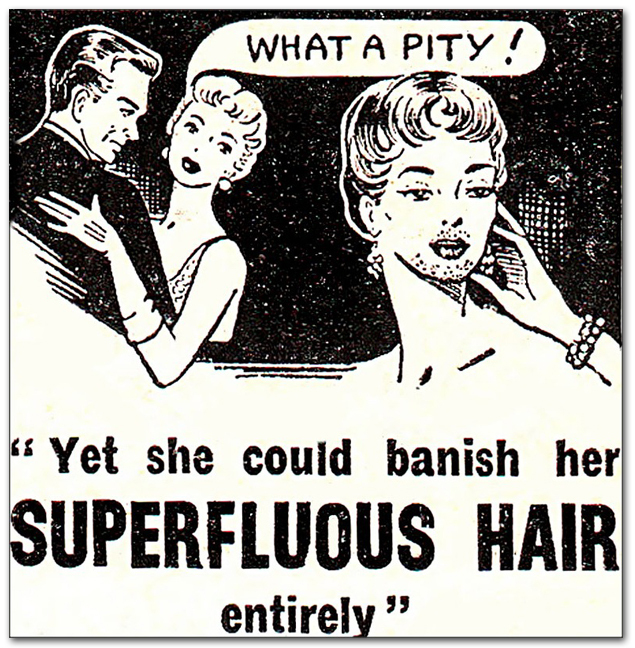 Regardless of your age, a truly fine hairpiece can do wonders for your appearance and morale. 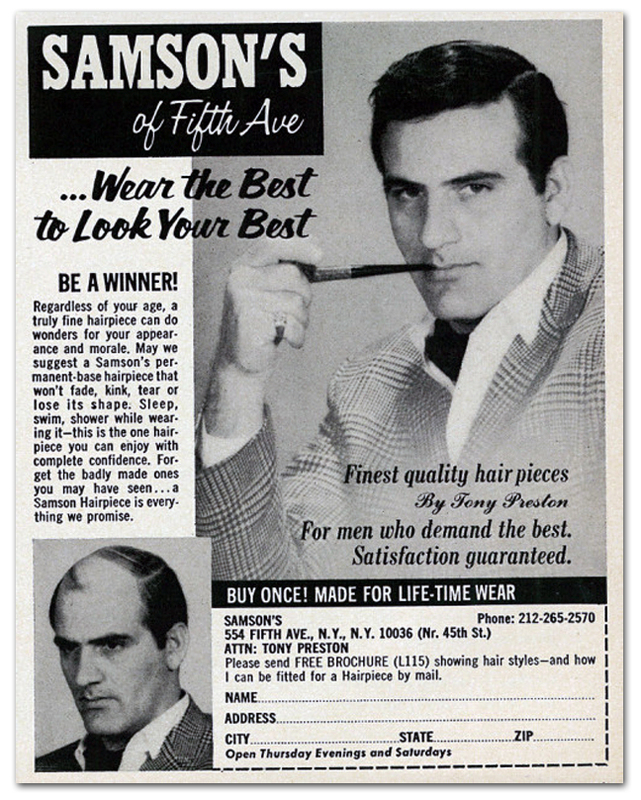 May we suggest Samson’s permanent-base hairpiece that won’t fade, kink, tear or lose its shape. Sleep, swim, shower while wearing it – this is the one hairpiece you can enjoy with confidence. Forget the badly made ones you may have seen … a Samson Hairpiece is everything we promise.